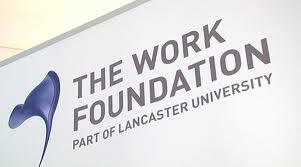 On 18th March, The Work Foundation launched its report on the recent development of return to work support services in the UK which looked at the issues that need to be addressed to help people remain in work after a diagnosis of and treatment for cancer. In particular, the Report outlines recommendations for improving the implementation and effectiveness of the new Health and Work Assessment and Advisory Service (HWAAS). The report was written by Tyna Taskila, Jenny Gulliford and Stephen Bevan. The launch was in partnership with Macmillan Cancer Support. This entry was posted in Uncategorized and tagged Cancer, Cancer survivorship, Health & Work Assessment & Advisory Service, HWAAS, Lancaster University, Macmillan Cancer Support, Return to work, The Work Foundation. Bookmark the permalink.